Learn how the DoneJS core team uses independent packages and repositories to keep CanJS stable and innovative within a constantly changing technology landscape. The benefits of independent repositories. 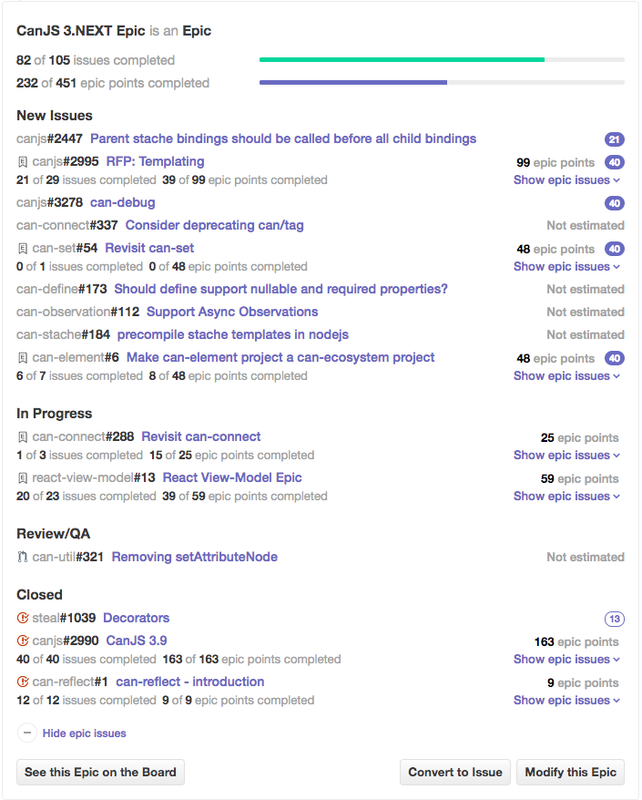 How we manage a codebase split across many repositories. Organizing CanJS into individual repositories and packages has many benefits. The obvious advantage is that pieces can be used without the whole. 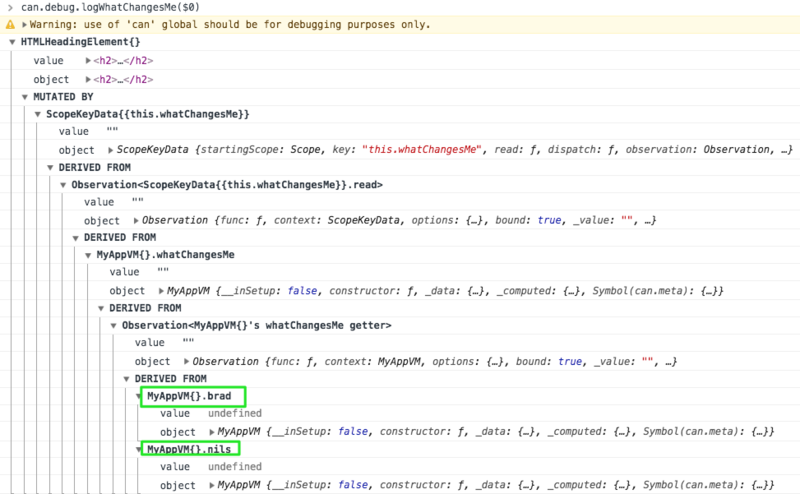 You can choose to use CanJS’s observables or can-fixture without the rest of the framework. You could even mix and match CanJS libraries with other libraries like React quite easily. To get all of those bug fixes and new features in 3.0, you have to take on those breaking changes from 2.3 all at once. Depending on your company culture, and scale of your application, this might not be easy. Independent repositories also mean that legacy libraries, like can-ejs can continue living through community-driven fixes and releases. They don’t die simply because they are no longer included in the core CanJS build. Allow users to get bug fixes and features without forcing them to accept breaking changes. Support asymmetrical development, allowing the community to focus on what's important and experiment easily. 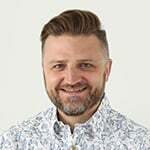 Helped us make over 150 releases since CanJS 3.0. DoneJS's plugin generator to add automated testing, builds, and publishing. 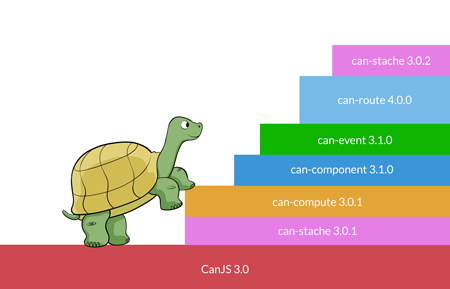 The canjs/canjs repository as an integration test. GreenKeeper to let us know if we break any upstream packages. Landscaper to make changes across multiple repositories at once. ZenHub to manage issues and create epics across multiple repositories. <script>, AMD, and CommonJS builds. A publish script that runs the tests, performs the build, checks in the dist in the github tag, and publishes to npm. Walk through the DoneJS plugin generator guide to learn how to create your own plugins. While CanJS is broken out into individual repositories and packages, there’s still a need to test for problems when combining packages. 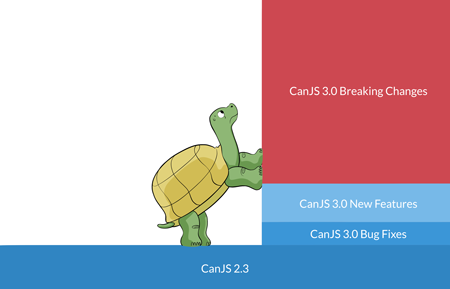 The canjs/canjs repository is used to load every package’s tests and run them all at once within each supported browser. 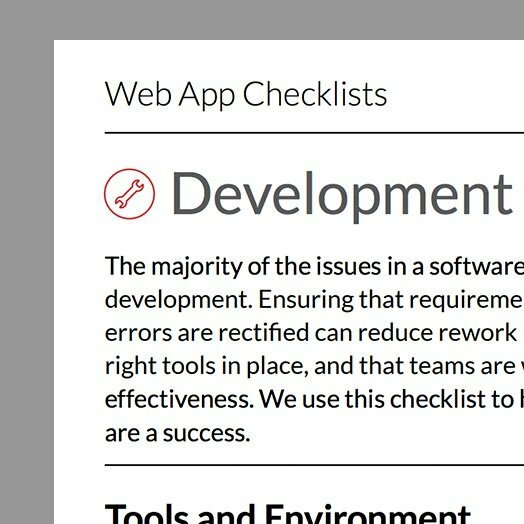 We also have additional integration tests to make sure our guides and production builds work. The canjs/canjs repository is also used to establish specific versions of every package that are verified to work together. 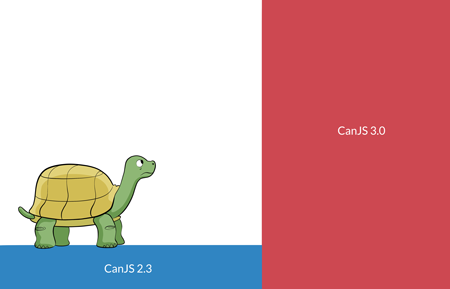 Organizations can upgrade to a specific version of CanJS by using the same dependencies. The latest version of CanJS documents its package versions here. 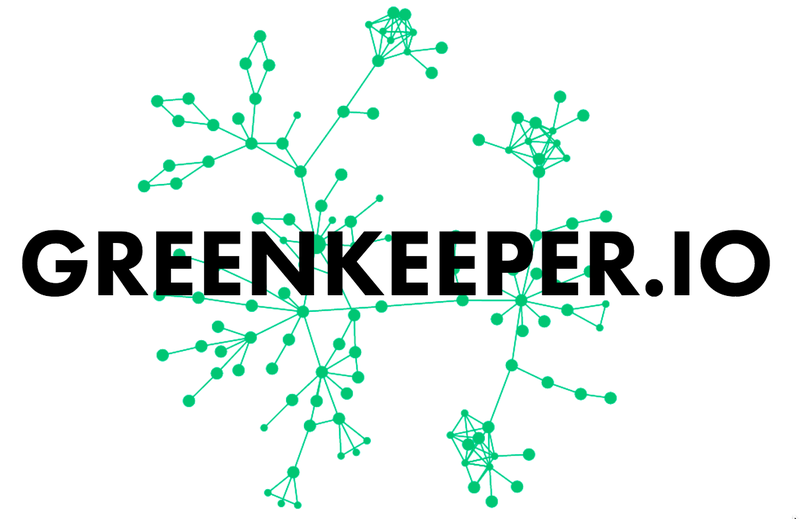 We use GreenKeeper.io to know if we’ve broken any upstream dependencies. When we make a new release, GreenKeeper makes pull requests to our repositories using that release, which runs the repositories tests. We get an email when those builds fail. Landscaper is a command-line tool for making sweeping changes to any number of projects using code mods. If we want to change the license copywrite year across all 60 repositories, we write a code mod and use landscaper to submit a pull request to all 60 repositories.